The city of Rotterdam Holland features many interesting tourist attractions, famous landmarks, museums and art galleries. Rotterdam has the second largest port in the world and the second largest city in the Netherlands (after Amsterdam). Due to its status as an important international port, Rotterdam is also an important shopping destination and a venue for sporting events. 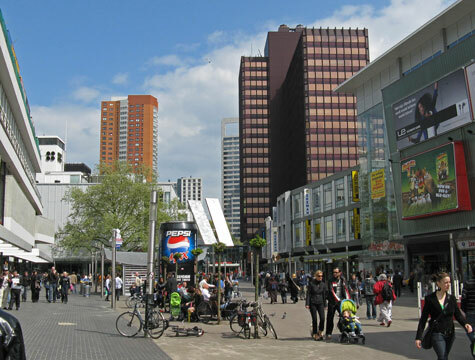 Many visitors to Rotterdam arrive at Rotterdam's international airport, the central train station or at Schiphol Airport to the north. There are plenty of great hotels in Rotterdam that are suitable for all budgets. Visitors to the city often enjoy staying near the old town. Many of the city's top attractions can be found within walking distance. Using Rotterdam as a base, tourists can visit popular nearby communities such as Delft, Leiden or the Hague.